If you're looking for fun group activities in New York to enjoy with your closest friends and/or family members, Fun New York is your number one resource! See our extensive list of venues that cater to group activities in New York. One of the Best Group Outing Ideas in NY! One of the coolest group outings in New York; Victorian Gardens provides students, campers, co-workers, families, and other types of groups with the perfect escape! A day at the Victorian Gardens Amusement Park will prove to be an entertaining, memorable, and educational experience for people of all ages. Whether you're looking for rides, games, shows, or yummy carnival-style treats; you'll find it all at this one-of-a-kind amusement park. The park offers discounted rates to riders of 20 or more, with advanced reservation. 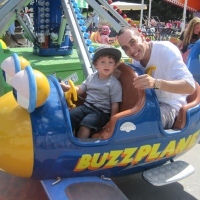 Group rates include admission and unlimited rides for children, as well as 1 free admission for every 10 rider paid. For groups of 30 or more, meal vouchers are available. Victorian Gardens is also available for birthday parties, corporate events, fundraisers, and promotions. A Fun Group Activity To Do In New York! Manhattan Kayak was founded in 1995 by Eric Stiller. The company is a premier kayak school and touring company. An exciting and thrilling experience, where you get to paddle across the Hudson River and to the New York Harbor. With its excellent and highly trained staff, you will be sure to learn and have a great experience in kayaking. The Manhattan Kayak specializes in group events. They offer customized programming for any event, such as team building or to just have a great time with friends. So come and make your reservation today at Manhattan Kayak. An Extreme Outdoor Adventure In New York! 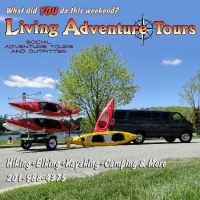 Living Adventure Tours offers one of the best outdoor group activities in New York, where you get to enjoy hiking, kayaking, mountain biking, and many outdoor activities that sure will satisfy your needs. The staff is highly trained and very experienced in providing assistance and training in order for you to learn fast and well. Living Adventure Tours is about getting out in nature and exploring the diversity and beauty of nature. It is where you get the thrill of adventure and the joy of seeing many amazing sceneries of nature. A Green Way To Enjoy With Friends! Twig Terrariums is a venture that sprung on the minds of two old friends, Michelle Inciarrano and Katy Maslow. 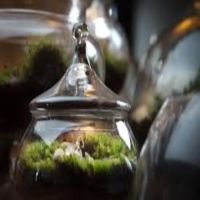 After many years of trials and planning, they finally came up with the idea of Terrarium designing that is encased inside a bottle, which was very artistic and unique. They were featured in several magazines and media such as The New York Times home section, Country Living and Rachael Ray. Their fame sky rocketed and made their products a very desirable decoration. Twig Terrariums offers classes and private workshops that are great for group activities among friends or family and it is one way of sparking your creativity and artistic mind. For more information please visit the website or send them an email. A Recreational Group Activity At Chelsea Piers! Chelsea Piers is a 28 acre water front sports village, designed for amateur sports and recreation and is perfect for group activities among friends and colleagues. Opened in 1995, Chelsea Piers has been a travel destination for many people who come to enjoy the games and activities and a perfect way for team building and group collaboration. Activities offered at Chelsea Piers are golfing at the High Tech golfing range, basketball, indoor mini soccer, rock wall climbing, and many more. So come to Chelsea Piers with your friends or family today and experience the joy and excitement. Fun Way To Design In New York! Make Meaning, located in 1501 3rd Avenue of New York, is a place for kids and adults to make beautiful decorations like ceramic glass, candles and even soap. You can have a mom's night out, girls' night out or even a party at Make Meaning. It is a great place for group activities and team building for kids and adults. So visit Make Meaning today and enjoy being creative and artistic. Make Meaning is not just intended for kids, but it is for everyone who wants to learn, enjoy and have fun creating beautiful things. Wall Climbing in New York! 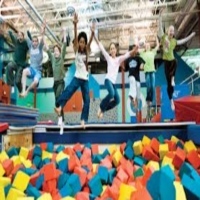 Brooklyn Boulders offers fun and great activities that are great for groups of friends and colleagues. It offers wall climbing activities fit for amateur wall climbers and for the professionals. The facility is complete with equipment and has highly trained instructors. Open from Monday to Friday at 6 Am to midnight and Saturday to Sunday at 8 Am to Midnight. 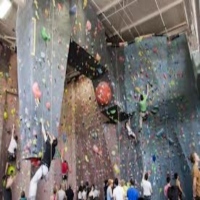 Brooklyn Boulders is a great place to be for thrill seekers everywhere and is a fun way to spend time with your group of buddies. Simply a great way of spending an amazing time with your group of friends here in New York. 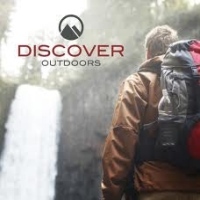 Discover Outdoors offers some of the best hiking and outdoor activities in New York, where you can enjoy strolling to the wilderness and learn different surviving skills. The guides are very experienced and highly trained and are equipped with the knowledge of basic survival in the outdoors. So come to Discover Outdoors and enjoy hanging out with your friends and enjoy your adventure into the wilderness. Discover Wellness In New York! New York Open Center is a nonprofit organization that offers a holistic approach of learning wellness and discovering the essence of mind and soul. It is a place to learn many alternative ways of living a healthy lifestyle and to have spiritual calmness and peace. The center offers workshops that are intended to be beneficial for the mind and soul, such as Yoga, learn about Chakra healing food, Qi Gong, Herbal medicines and many more. It is a great place for group activities, where you can learn many ways of living a healthy lifestyle, and discover a sense of calm and peace of the mind and soul. Burn Some Calories In NYC! Halevy Life is a place where you can work out with your buddies or meet new friends along the way. It is great for group activities and spending time enjoying working out. Halevy Life is fully equipped and the staff is highly experienced in helping you with your program and helping out during your work out. The fitness facility is one of New York's renowned gyms and was featured in some well-known magazines in the city. The gym offers a great experience of satisfaction and self-worth after a hard day's workout. It is the perfect place in New York to enjoy and burn some calories. Have A Break From The City and Enjoy The Outdoors! 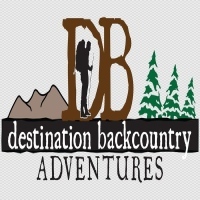 A great way of spending a group activity with your friends, Destination Backcountry Adventures offers an outdoor adventure to the wild wilderness where you will see the amazing sceneries of nature and explore many wonderful sites. The outdoor activity is intended to be a small group for the reasons of making the journey more personal and worthwhile that is why the group is only limited to not more than 12 people. So explore the wilderness of New York today and have an adventure of a lifetime that is worth telling. Experience an outdoor activity with Destination Backcountry Adventures and see the spenders of nature.